Confession: as a web writer who has to constantly research new stories, keep an eye on social networks, stay in contact with my coworkers, and see if that jerk on eBay has outbid me for the LEGO T-rex from the Dino Defense HQ set, I often have dozens and dozens of Chrome tabs open on my desktop by the end of the day. That sort of wanton disregard for computer memory doesn't really translate over to mobile, where the single screen limits multitasking to a certain degree. 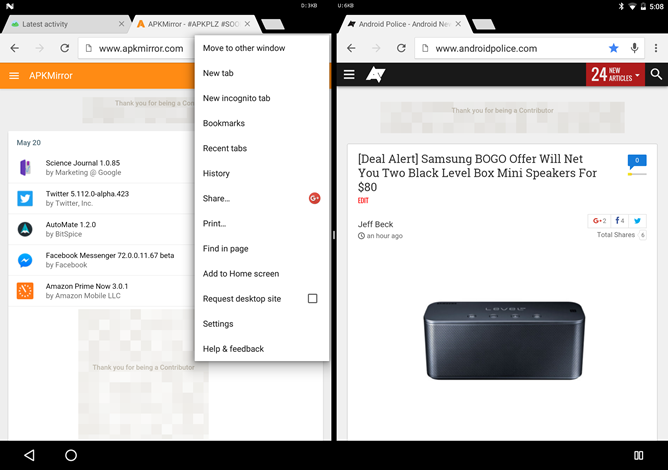 But Google is going to enable my bad habits on Android phones and tablets soon: in the third developer preview of Android N, users can open Chrome windows side by side. 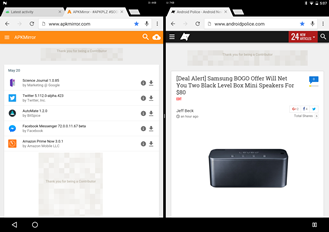 This works via multi-window mode, which generally restricts apps to a single instance on one side of the screen or the other. This was true for Chrome in the first and second developer previews, but after the bump from Google I/O there's been an option added to the settings menu in Chrome for Android: "Move to other window." Users can only move one tab at a time, but once the tab is loaded on the opposite side of the screen users can add new tabs to the discrete window. Resizing via the center slider bar will automatically reformat the web pages to either side, at least if they're written with dynamic formatting. 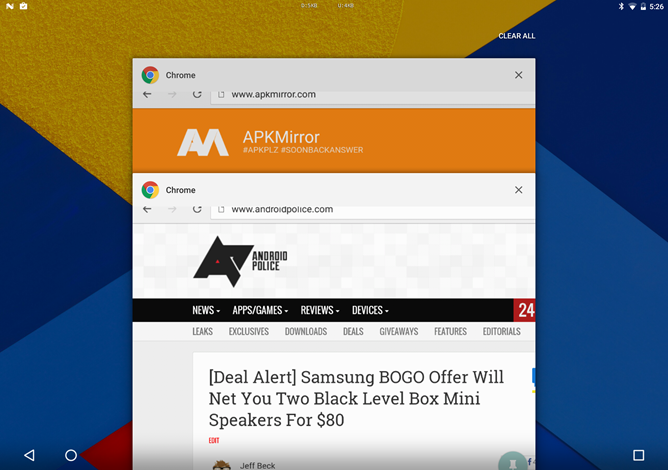 Multi-window mode will remember that you had two separate Chrome windows going at once, even if you leave the multi-window interface and return to it later. 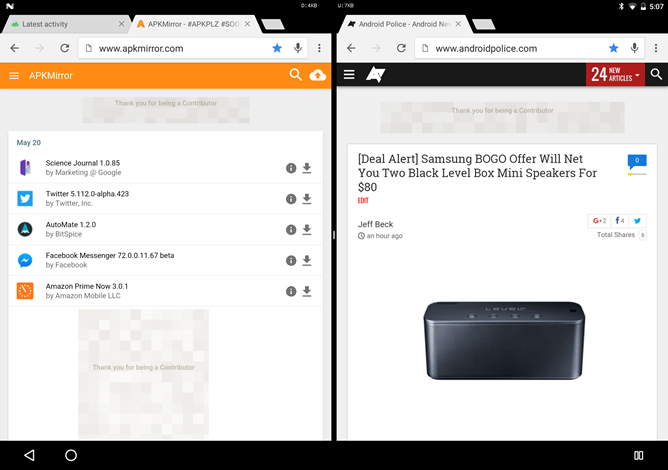 (It's actually creating two separate instances of the Chrome app running in Android at once, something that isn't normal practice.) 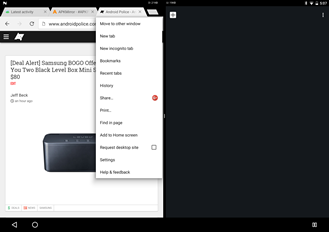 Since this is a developer preview feature we can't say with certainty that it will stick around - some others seem to come and go - but this kind of web multitasking is probably something that Google wants to hang on to.